If you’re looking for the best cookware, the All Clad Copper Core cookware is one of the best choices in the market today. The main reason behind this is its 18/10 cooking surface that is made up of stainless steel. All clad copper core utilizes a design of 5 ply bonding of metals. An exterior of pure 18/10 rolled stainless steel with a layer of aluminum underneath that and then comes the copper core with its excellent heat conduction and then another layer of aluminum, finally accompanied by a final layer of pure 18/10 stainless. This stainless exterior is very easy to clean and maintains its finish and rarely if ever needs to be polished as with so many lesser quality brands. All clad stainless cookware are now regarded as the best selling cookware everywhere. 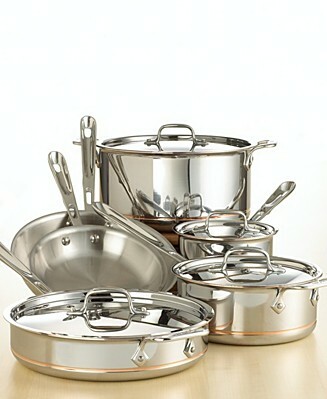 They are now considered as the cookware that is preferred by most of the professional chefs around the world.